Filthy cages held over 100 dogs, destined to be beaten, skinned alive and eaten. This is the reality of meat farms in South Korea, where dogs are bred for their meat. The Humane Society International, has stepped in to work with the farmers to end this barbaric and cruel trade, by encouraging them to adopt, more humane trading businesses. “Up to 10 million dogs are killed for human consumption per year across China, with around 10,000 just at the Yulin festival alone. 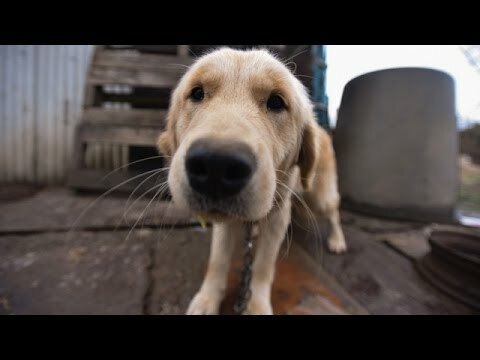 Undoubtedly there is still a way to go before we end this cruelty, but it is certainly a dying industry in every respect, and the number of dogs we’re seeing killed at Yulin is getting smaller year on year. Take a look at the recent rescue, by the Humane Society International below. At first, the fear in the fur babies eyes, is saddening, then it is quickly replaced by joy, when they are given love and affection.